Bernard McCaffrey was the fourth son of James and Catherine McCaffrey and was raised in McCaffrey Cottage. It is probable that he attended St Joseph's Catholic School in Willunga. Bernard became a pupil teacher at the Willunga Public School in 1882. He must have been reasonably popular with the children as they gave him a copy of Byron’s works in 1885. The use of pupil teachers in the nineteenth century was based on an apprenticeship model of teacher training. Bernard would have helped the head teacher instruct the lower classes, and probably sometimes taught without supervision. He would have received instruction from the head teacher before and after class on subjects and how to teach them. Pupil teachers worked hard, were poorly paid, and their service continued for four years, with an examination at the end of each year. Bernard’s time, however, was not solely devoted to education. During his time in Willunga he became known as a cricketer, footballer and singer. He was a frequent goal scorer for the Willunga Football team, and was labelled a ‘’capital’’ cricket player by Clarence Moody (see sources). Bernard often sang at concerts held both in his own district and further afield. He was a popular singer and was to continue performing for many years. 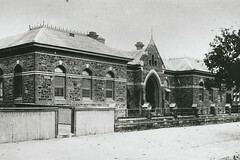 Bernard entered Training College in Grote Street, Adelaide in 1888, which was South Australia’s first teacher training school when built in 1875-6. Teacher training was one year, and Bernard was then appointed as Head Teacher in the school at Cradock for three years. He then spent a few months teaching in Dublin, and then became head teacher in Robertstown. In 1894, while teaching in Robertstown, Bernard married Winifred Mary Monica Stephens at St Peter’s Catholic Church in Normanville, South Australia. Winifred was also musical and sometimes played the piano at the concerts at which Bernard performed. She and Bernard had eight children, one of whom died as an infant. After appointments in Whyte Yarcowie and Colton, Bernard was then appointed as head teacher at Mylor, where he stayed for 17 years. Bernard McCaffrey was known as a strict disciplinarian with the children, but he made a large number of friends in the Education Department due to his attention to duty and his personality. He was called the "life of the place, being an enthusiast in all kinds of sports" (Advertiser, 23/1/1905, p. 5). 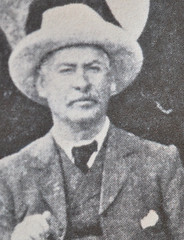 After Mylor, he was appointed to posts in Edwardstown, Richmond and Campbelltown. He died at the age of 63 on June 29, 1927, leaving his wife, Winifred, and seven living children to grieve for him. 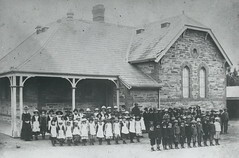 Willunga Public School, c 1887. Do you remember McCaffrey, Bernard Ambrose ? Then Join up and add your memory here.